The “Play Anywhere” idea aimed to empower kids. 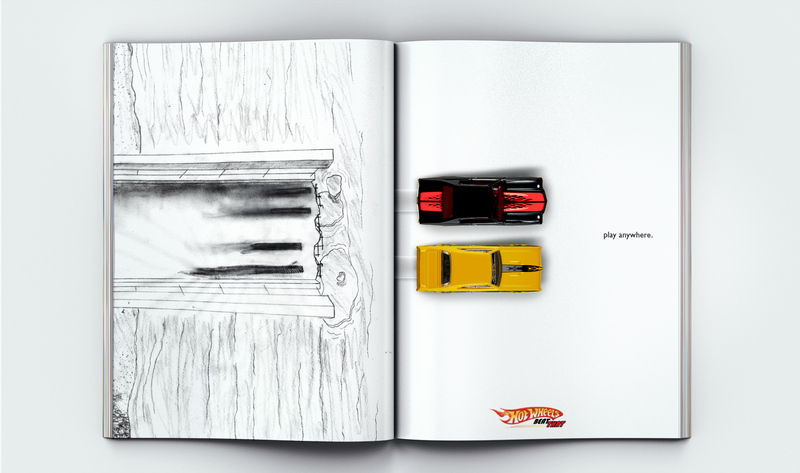 These ads were a blank canvas with a pop up Hot Wheels toy, allowing kids to create their story. Why is the car jumping and what is it jumping over? Why is the airplane flying and what stunts is it pulling in the air? 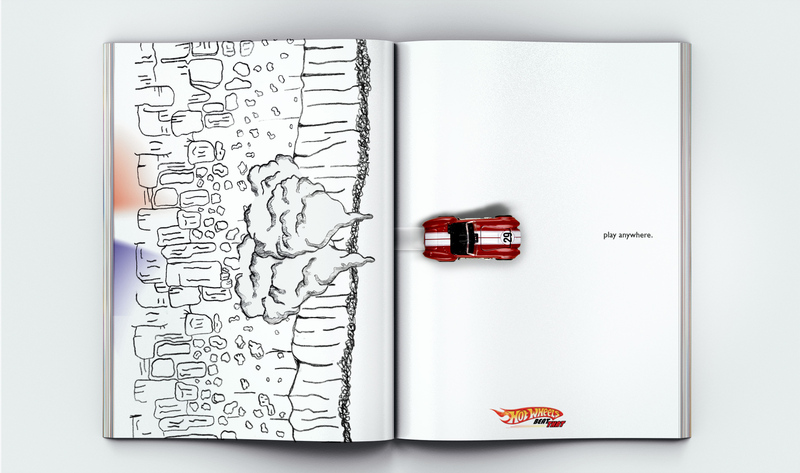 The goal was to encourage kids to let loose and draw to express themselves however they wanted. I also loved the removable magnetic cars on the side of an OCTA bus. Kids have imaginations that let them see anything as a possibility, so why not foster that? 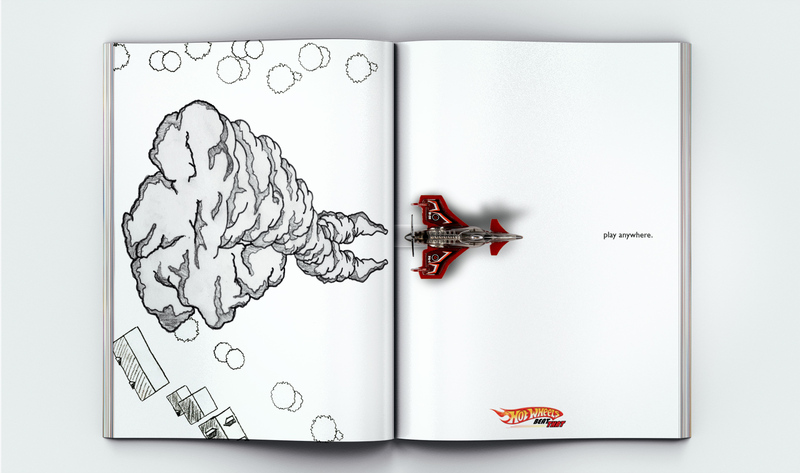 These ads taught kids to not hold back, that sometimes the unimaginable play surface can actually be their play surface. Nothing should stop them from exploring and playing.